The family has left town. The leftovers are dwindling. And yes, carols have once again dominated the airways. All that means is…. Thanksgiving was awesome, but it’s Christmahanakwanzika time! But before we move into this Holiday Season, we want to give a huge thank-you to all of our readers who shared what they are thankful for. All of you who participated, helped the Patient Worthy family see the encouraging and positive outlooks of the rare disease world. So as we transition into this crazy time of year, this meme Monday is going to look a little different. With December kicking off tomorrow, which also means the neighborhood battle for best lights will as well, we looked throughout the web to find 5 of our favorite Christmas memes to get this party started right! 3. Is it ever too early to start putting up Christmas decorations? UM, YES! 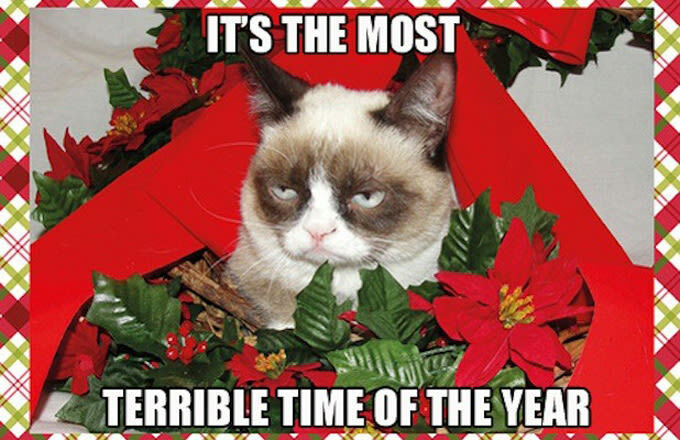 Pass these memes along to prepare your social network pals for the Holiday season. Have a favorite Christmahanakwanzika meme? Share Below!